That is the general feeling I get from those who’ve visited the new Airport Boulevard location that opened last week. Social media pages are blowing up with the praises. Let’s hope Half Shell Oyster House in Mobile can keep up with the demand. I recently had a couple dozen, perfectly sized oysters – a good medium – and delicious. Not only does Half Shell have an excellent menu (I built a plate of blackened redfish, cheese grits and an awesome salad), there was a monthly special I couldn’t resist. The seared ahi tuna with a Sriracha-lime mayo over a soy glaze was better than great. It only lacked a little wasabi. But the sleeper of the regular menu is the seafood stuffed portabella mushroom. I never dreamed it would turn out so good. This place may be a regular stop for some of us. Uncle Maddio’s opens with free pizza! This is a rocket ship of a pizza chain, but I’m sure Mobile and Baldwin County will have no trouble getting behind it. Uncle Maddio’s Pizza Joint is the new restaurant to look out for in Daphne. This is the first of four franchises to hit our area, the second of which should be open in Mobile County sometime during the fourth quarter of this year. This 23rd unit will be will be the first in south Alabama and will be located in the Jubilee Square Shopping Center at 6882 U.S. Highway 90, Suite G-1 in Daphne. Local franchise partners Lisa and Don Taylor couldn’t wait to bring the restaurant to our area. One look at the website and I can see why they are so excited. It’s kind of the assembly line style of Subway or Moe’s Southwest Grill but for pizza. Three crusts – traditional, wheat or gluten-free – are followed by a palette of sauces ranging from the more common tomato-basil, pesto or olive oil to the outrageous spicy buffalo, zesty barbecue or buttermilk ranch. Cheese-wise there are the usual suspects plus oddities like Daiya vegan cheese, ricotta, and goat cheese. Uncle Maddio’s Pizza Joint boasts an affinity for providing local vegetables when available as well as handmade meatballs and sausage. For the grand opening of Daphne’s Uncle Maddio’s Saturday, July 19, everyone in line at 11 a.m. will receive a free three-topping, 9-inch pizza. One lucky winner will receive pizza for a year! Get on down and enjoy some hormone free chicken and homemade salad dressings while you munch on a pie. Welcome to the area. There are still spots available for Old Shell Road’s Italian Fisherman’s latest wine dinner slated for Tuesday, July 22, at 7 p.m. If you like Greek Fest then you may be blown away by cuisine that isn’t offered there, as well as some amazing wine expertly paired. What you get will be well worth the $60 per person, but you must be signed up by Friday, July 18. Call for your reservation now at 251-401-7246. I love this food in the summer. Save the date. 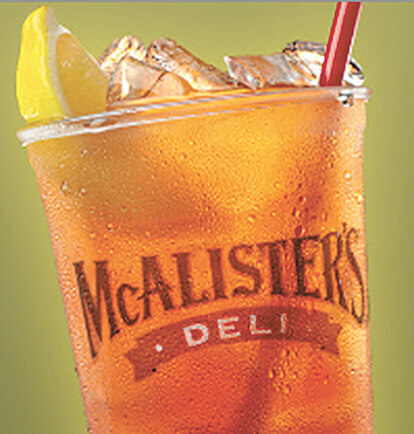 July 24 McAlister’s will be giving away one free 32-ounce tea to every customer. As a former employee of the Hattiesburg store on Hardy Street 20 years ago can say that it’s good. I’ve had swimming pools of the stuff with a mouthful of starlight mints while slinging sandwiches. 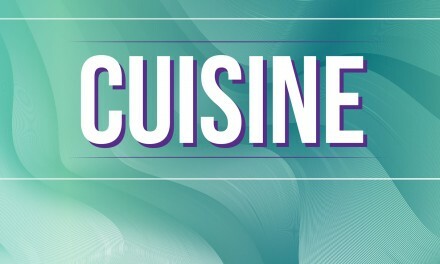 Signup on either www.mcalistersdeli.com or their social media facebook.com/teafreaks page for chances to win gift certificates between now and the celebratory date. You may win a $25 gift card but cross your fingers for the grand prize of $250. PreviousNot up for brewing beer at home? Try making flavored gin! NextWhatcha gonna do when you can’t eat anymore?